Few other additions can complement the aesthetics of a historic home in the Baltimore area more so than copper gutters. If you would like to enhance the curb appeal of your home with this amazing product, you should hire the experts at Roland Slate Service Company to get the job done right. We are experts in all aspects of roofing, including gutter installation, and we can ensure the aesthetic appeal and lasting performance of our copper gutters. What Makes Our Copper Gutters So Great? 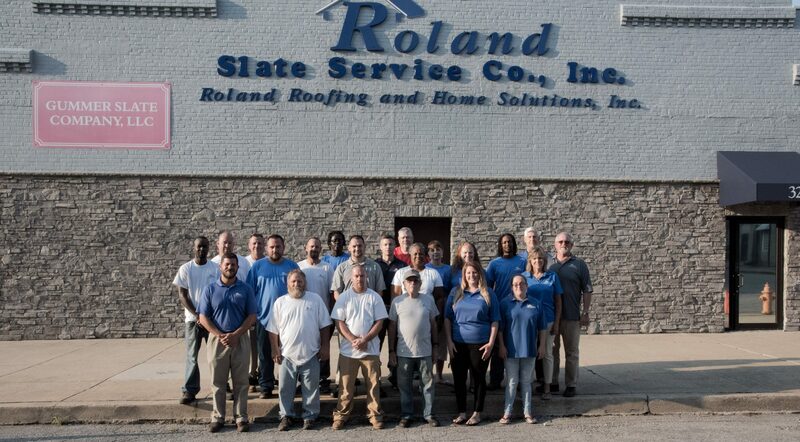 At Roland Slate Service Company, we take pride in the high quality of the products we offer, and our copper gutters are no exception. They are incredibly durable and will resist natural wear and tear for years to come. What’s more, they can effectively channel rainwater from even the most torrential downpours, providing enhanced protection for the topsoil around your home as well as your home’s foundation. Why Choose Roland Slate Service Company to Install Your New Copper Gutters? We provide an amazing customer experience from initial consultation to final inspection and will truly make you feel like the valued customer you are. In fact, our dedication to customer satisfaction has earned us the Torch Award from the Better Business Bureau along with a longstanding A+ rating. To learn more about our copper gutters and why you should choose Roland Slate Service Company to install them, contact us today and set up a free consultation at your Baltimore area home.